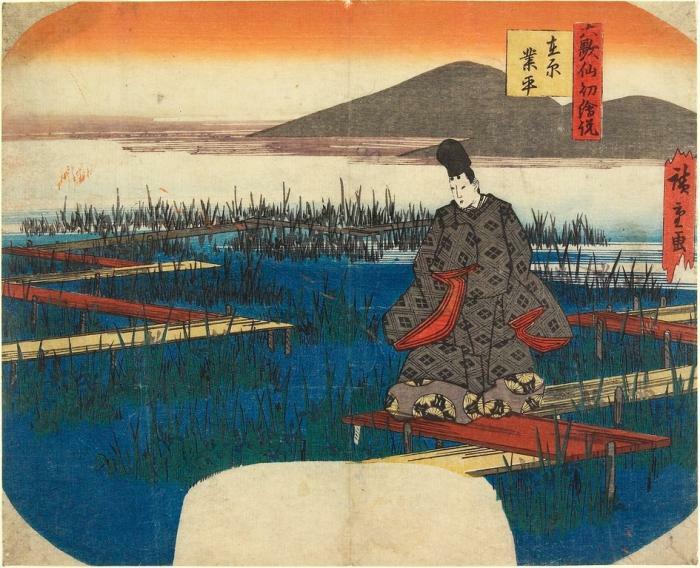 Ariwara no Narihira was a 9th century Japanese poet who was one of the waka poets of that time. 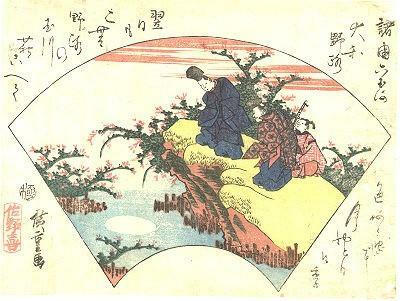 He wrote a long piece of work called The Tales of Ise which featured a character who enjoyed a series of love affairs based, if legend is to be believed, on Narihira’s own experiences. 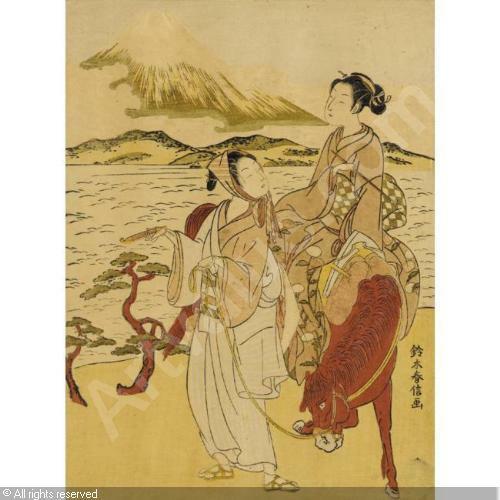 An aristocrat by birth, he was certainly named in a number of scandals involving ladies of the Japanese royal court and it is likely that his adventures will have prevented any elevation in status of a political nature throughout his life. His poetry though DID bring him much acclaim and he was recognised as one of the “Six Best Waka Poets” – rokkasen in Japanese. Some even confer the term “genius” upon him. 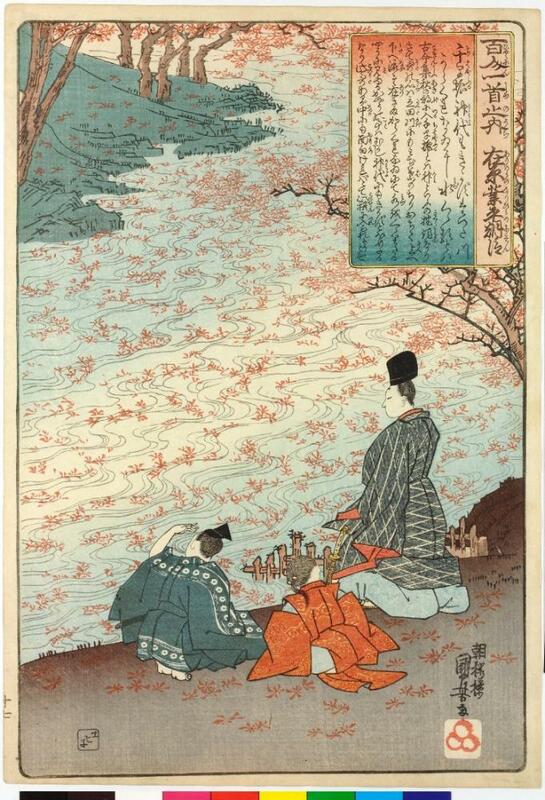 A further accolade placed him among Japan’s “Thirty Six Poetry Immortals”. It is believed that Narihira was born in the year 825 into very comfortable circumstances. His father was Prince Abo, himself the son of the late Emperor Heizei who died a year before Narihira was born. 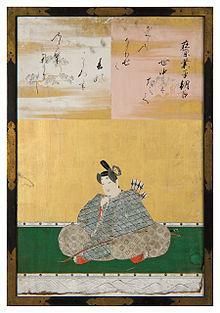 His mother, the Princess Ito, was the daughter of the previous Emperor; Emperor Kammu died nearly 20 years previously. 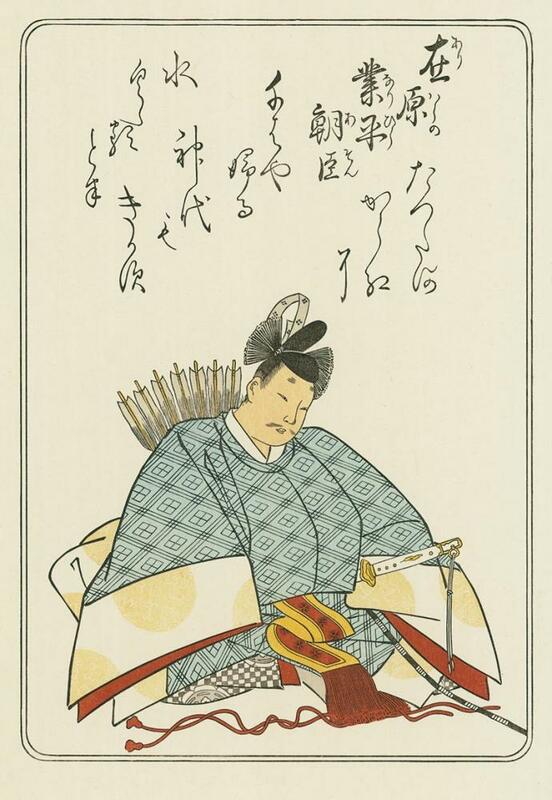 Despite such auspicious connections the young Narihira did not have any royal privileges and, along with his brothers, was relegated to “civilian” status. 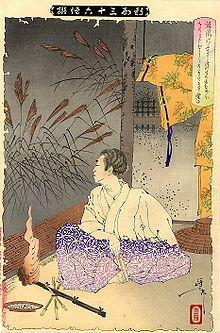 He was allowed at court but did not make any progress back up the line, primarily due to a succession of dalliances with imperial consorts such as Fujiwara no Takaiko and a number of other ladies at the royal court. Narihira’s Tales of Ise makes fairly clear references to these incidents and there seems little doubt that he saw himself as that dashing leading man in the story. 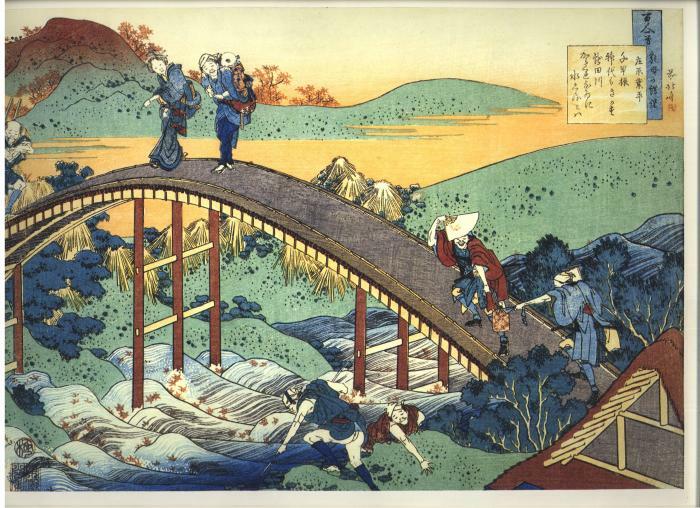 He was also written about by others such as Murasaki Shikibu who, in the 11th century wrote the classic masterpiece called The Tale of Genji. 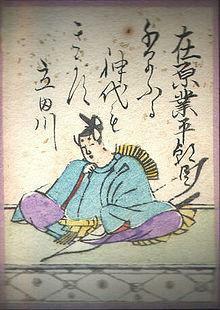 It is believed that the handsome hero of her story – Hikaru Genji – was based on the exploits of Narihira. Perhaps the fact that he was often referred to as a “bel homme” would suggest some truth to this story. It did, after all, mirror Narihira’s life to some extent with scandalous tales of high ranking ladies having intimate relationships with courtiers of a lower social standing. Understandably very little detail is known about this poet’s life and much of what has been written is based on the legends that surround him, some of which he may have fabricated himself. He seems to have lived a life of leisure, enjoying hunting with royal princes in between writing waka poetry and bedding numerous ladies of the court. It is believed that he died in the year 880, at the relatively young age of 55.